For more than 55 years, the Museum of Arts and Sciences has provided a wide offering of programs for school groups, homeschoolers, college students, adults, and families. Guided school programs, family days, hands-on activities, toddler programs, classes, lectures, trips, camps, and exhibitions provide opportunities for discovery and lifelong learning. Whether as an individual or with a group, the Museum can provide an unparalleled educational experience. The Museum of Arts and Sciences offers a variety of art classes throughout the year. Please note that class enrollment is limited. Advance registration and payment are required at least five days prior to the first session. A minimum of five students is required for a class to be held. Cancellations must be made two weeks prior to the class, and a 20% handling fee will be charged. A list of Museum Classes is posted in our online List of Events. A class visit to the Museum of Arts and Sciences brings a unique opportunity for a field trip. Go zooming through outer space in the Mark Smith Planetarium, discover the ecosystems that surround us, learn of far off cultures and be amazed by artistic feats all in a one-day field trip. Using the Georgia Performance Standards, the Museum provides relevant guided tours of exhibits, programs, and classrooms. 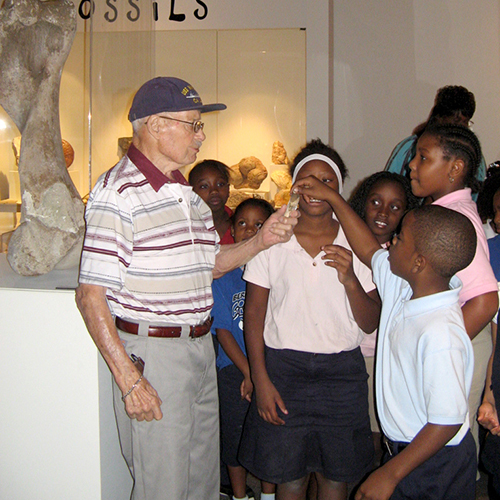 Let the Museum create a memorable field trip for your group. The Museum of Arts and Sciences can assist college classes with organized group visits or required visits for undergraduate and graduate students. Special group pricing, unique resources including exhibitions, the planetarium, animal programs, and staff-led programs can be provided to coordinate with your class needs. Call 478.477.3232 ext. 306 for more information. o Reservations are recommended at least one month in advance. o Contact the Museum at 478.477.3232 or fill out the contact form on this page. o Book early for March, April, and May visits as those months are our highest demand time. o Accurate group numbers are required prior to the visit. o The number of parents participating MUST be included in advance. Otherwise, we cannot guarantee parents' participation in all programming. o Please remember to cancel. There is a $50 no-show fee for failure to show without canceling. New Guidelines for 2018-19 Academic Year: The maximum number of parents allowed to attend is 1 per 10 students. Siblings are not allowed to attend field trips. This includes homeschool groups. As of August 1, 2018, chaperone fee will be $10. o Notify us about special needs in advance. o Arrive on time. Tardiness may cause a shortened or forfeited program. o Provide one adult chaperone per 10 students. - Please notify the Museum in advance of the number of parents who will be attending. o Remind students to be respectful of the Museum and other visitors. o Dispose of gum before arrival. o Plan for picnics or eating on your bus when raining. No indoor eating space is available. o Review Museum Guidelines in your confirmation packet prior to arrival. o Arrive for your scheduled visit at 9:45 am. o Lead teacher must check-in at the front desk. o Have an exact number of students, teachers, and chaperones. o Payment must be made at check-in. Let the Museum create a memorable field trip for your group. A group visit to the Museum of Arts and Sciences brings a unique opportunity for a field trip. o The Museum of Arts and Sciences can assist college classes with organized group visits or required visits for undergraduate and graduate students. Special group pricing, unique resources including exhibitions, the planetarium, animal programs, and staff-led programs can be provided to coordinate with your class needs. Call 478.477.3232 for more information. o Except for animal programs, schools should organize groups of 25 students in advance. o Travel mileage applies for ALL programs outside of Bibb County. Includes three staff person providing: eight Discovery Dome shows, three live animal programs, and eight STE+aM activities. Includes three staff person providing: four Discovery Dome shows, one to two live animal programs, and three to four STE+aM activities. o Indoor space with clean floors. Minimum of 20 sqft by 11ft high with a nearby electrical outlet. o One hour of setup time is needed. Fee includes up to 8 shows of 25 students/show (specify show/subject matter); additional shows are $50/show. Let the Museum create a outreach program for your group. Be an Astronomer Right from Your Window!